With Halloween just behind us, I would like to take the opportunity to discuss fear and more importantly, how to overcome it. We all have something we are fearful of, whether it be heights, flying, public speaking, or something much less tangible like failure. These fears are normal and part of being human, but at what point does fear have an impact on your life? When are you so afraid of something that your fear prevents you from pursuing your dreams? Fear can be paralyzing, and restrict you from moving forward. The thing to remember about fear is it can only hold you hostage if you allow yourself to be intimidated by it. Fear only becomes real when we make it real. The same is true when trying to overcome fear—you need to believe you can do it. Fear is a lot like doubt, in the sense that nothing kills a dream faster. Start by believing in yourself. The first step is always easier to take when you truly believe you have the power to accomplish your goals. However, you need to be honest with yourself and leave your emotions out of the equation. In order to make the best decisions, you must be able to see what is at stake from an objective point of view. Thoughts and feelings can pollute our best judgments, so it is important to view the situation from a neutral standpoint and develop an accurate perception. The final piece of the puzzle is surrendering to the outcome. None of us know for sure what the future holds, so give your best to the present. The fact that the outcome is not guaranteed is often the reason people shy away from taking risks. To trump this fear and keep moving forward, you have to trust that everything you have done to get to this point will lead you to where you want to be. Have confidence in yourself and believe that you will land on your feet. The advice I want to leave you with this month is to surrender to the unknown and take a leap of faith. Confront whatever fears you may have. 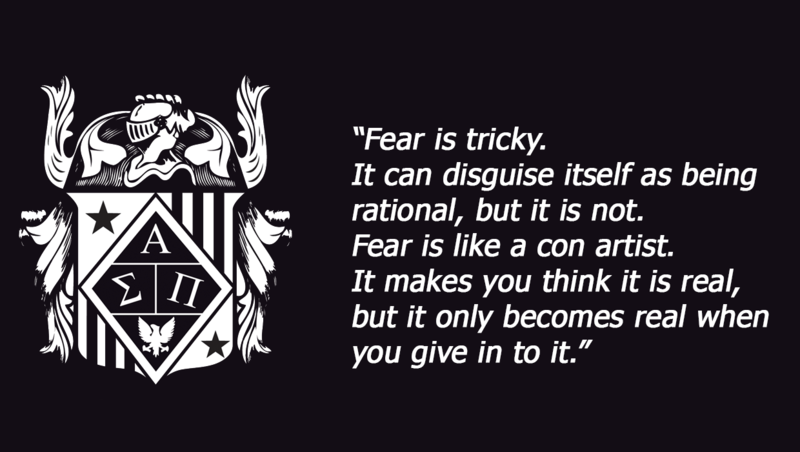 Take action, even if it frightens you. If you do, you can reach heights greater than you ever imagined. I hope your fall semester is going well, and wish you the best for November. 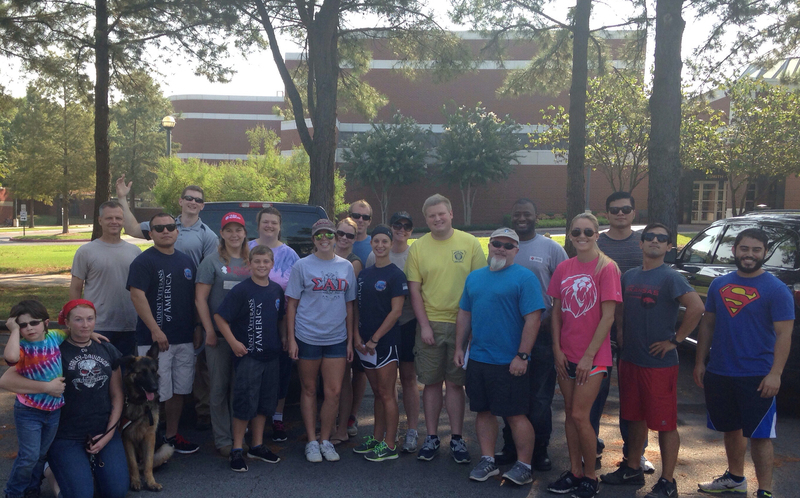 Society members from the chapter at the University of Arkansas - Fort Smith joined forces with the Student Veterans Organization for a community service project renovating the house of a disabled veteran. Due to a recent diagnosis of amyotrophic lateral sclerosis, known as ALS or Lou Gehrig’s disease, a Marine Corps veteran is now confined to a wheelchair. UAFS students spent a weekend renovating the veteran’s house making it wheelchair accessible. “The structural changes were a big help for him, but I think he appreciated the personal touch of us being there, helping him and cooking for him,” said Shelby Osbourne, President of the Society chapter at University of Arkansas - Fort Smith. The Southern Illinois University Edwardsville (SIUE) chapter participated in its campus’s Homecoming Student Organization Spirit Contest for the first time. The weeklong event featured a Chalk Mural Contest, Talent Show, Wing Eating Competition and much more. 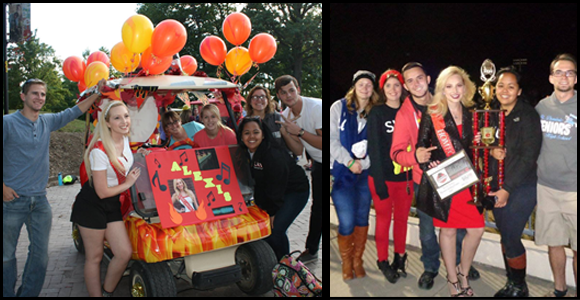 Pitted against all other SIUE student organizations, the Society chapter sponsored one of the eight representatives of Homecoming Court, made top four in Cougar Karaoke, and won the Best Decorated Golf Cart. During the Homecoming game, the winners of the Spirit Contest were announced. As a result of the time and dedication of the SIUE Society members, the chapter was awarded the first-place trophy. The Society chapter at Virginia College in Augusta volunteered at Halloween with a Heart, a safe Trick-or-Treating event for special needs children. 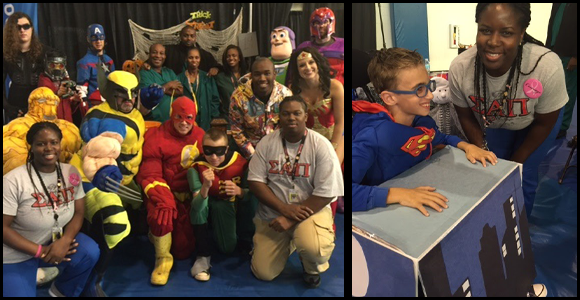 Halloween with a Heart took place on Wednesday, October 14th from 9:00 a.m.to 2:00 p.m. at Patriot’s Park in Evans, GA.
On Monday, September 14th, the Society chapter at Florida Atlantic University held its Fall 2015 Orientation. 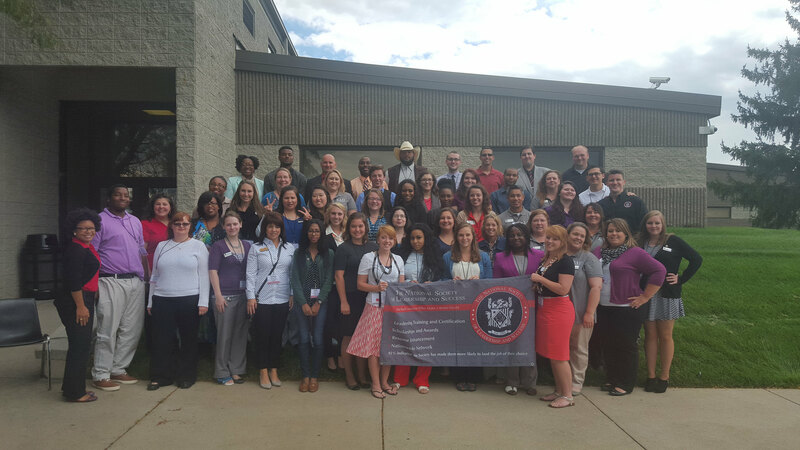 More than 90 students attended, along with National Office employees Malissa Myers, Sean Anderson, and Society President Charles Knippen. 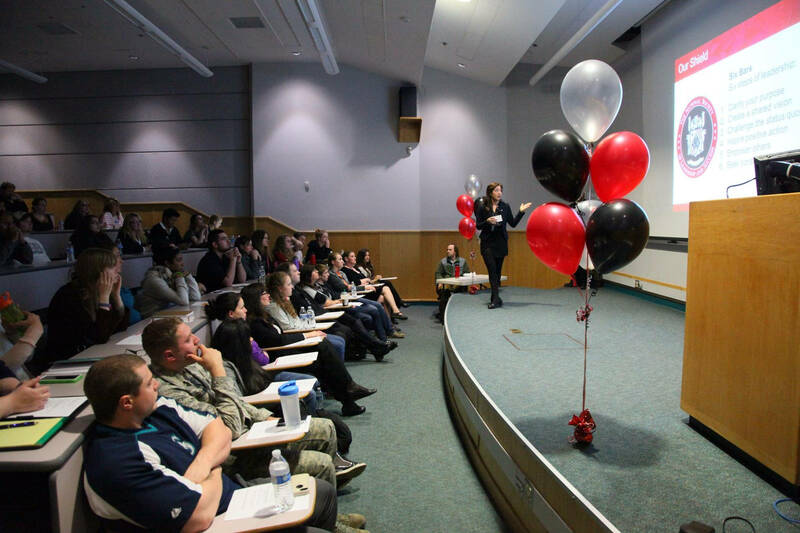 The Society chapter at the University of Alaska Anchorage held three Orientations this fall, totaling more than 240 students in attendance. 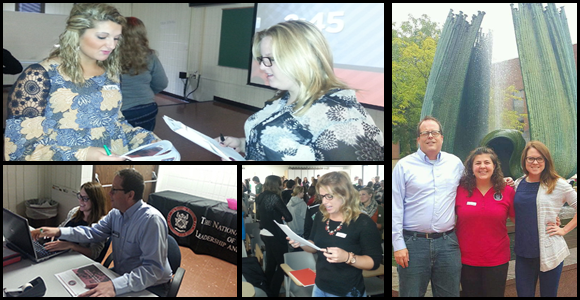 The Orientations were held on September 29th, September 30th, and October 3rd. 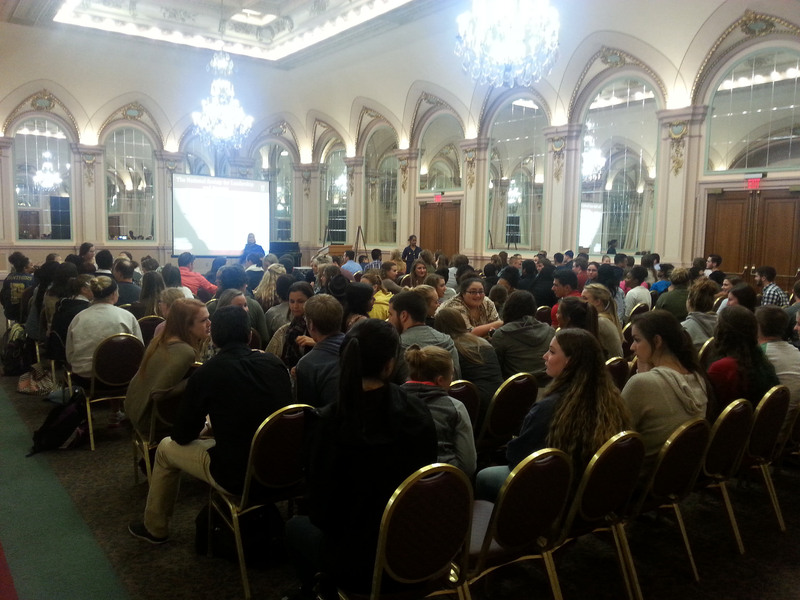 On Monday, October 12th, the Society chapter at the University of Pittsburgh held its Fall 2015 Orientation at the William Pitt Union Ballroom. Over 200 students were in attendance for the event. 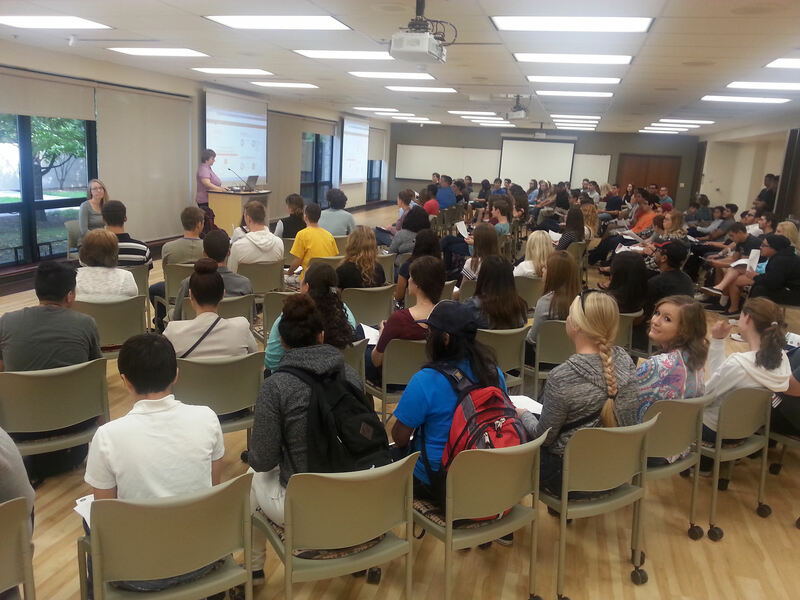 On Thursday, September 24th, more than 100 members attended the Fall 2015 Orientation for the Society chapter at Waubonsee Community College in Sugar Grove, IL. On Saturday, September 26th, the newly established Society chapter at Marshall University held its first Leadership Training Day. National Office representative Claire Sarlo joined more than 100 members in attendance. 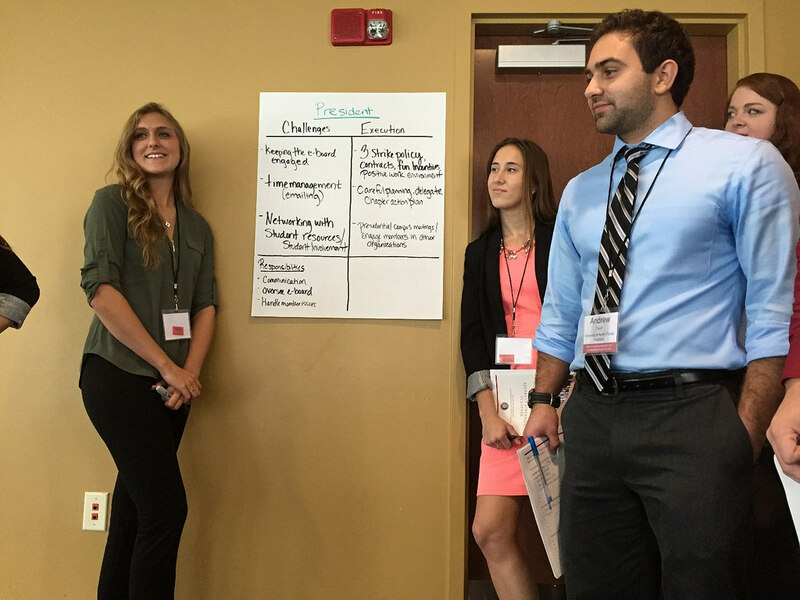 On Saturday, September 12th, the Society chapter at Ivy-Tech Community College hosted the 2015 Midwest Regional Leadership Retreat in Columbus, Indiana, for an exciting day of leadership and team building activities. Society President Chuck Knippen attended the event along with over 50 Chapter Leaders from the Midwest Region. 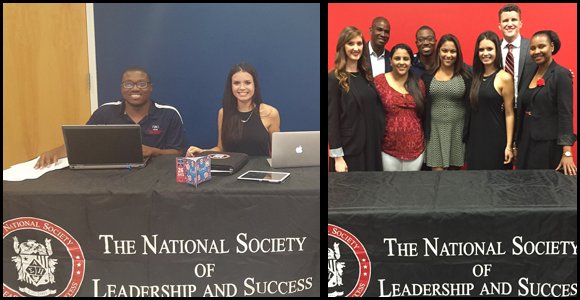 On Saturday, September 26th, the Society chapter at the University of South Florida hosted the 2015 Southeast Regional Leadership Retreat in Tampa, Florida. With nearly 70 Chapter Leaders in attendance, the event was a great success. Are you up for the challenge? 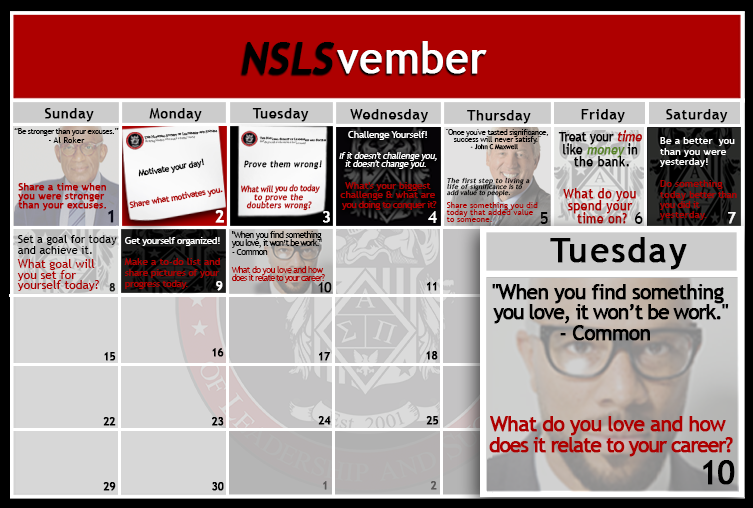 We are excited to announce for the first time, the Society is running a 30 day inspirational challenge on our social media pages, called "NSLSvember”. Every morning in the month of November there will be a new challenge posted on our Facebook, Twitter, and Instagram pages, as well as on our Snapchat story, which are designed to inspire and motivate you. To participate, post accordingly to the daily prompt using #theNSLS AND #NSLSvemberDayX with “X” matching the day’s challenge (i.e. : #NSLSvemberDay15 for the November 15th challenge). To join the "NSLSvember" Day 10 challenge click here. It is official, we are on Snapchat! Follow us on Snapchat for behind-the-scenes content, special promotions and more. To add us, open the Snapchat app, point your camera at our Snapcode above, and then press and hold your finger on the screen. You can also add us by searching our username, thensls. Click here to download Snapchat. The Society is excited to announce a new broadcast format called the "Thought Leader Series." The series features one-on-one interviews with our guests, who will speak about topics important to the Society and our members. 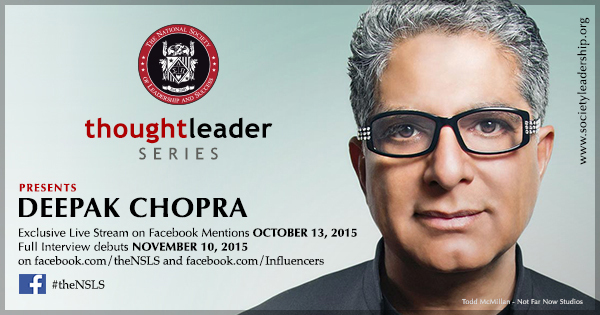 Our first guest was Dr. Deepak Chopra. The interview was filmed in October at Dr. Chopra’s apartment in New York City, and the first ten minutes were streamed live via Facebook Mentions. The full interview can be seen on the Society's Facebook page as well as the "Influencers on Facebook" page on starting today, November 10th. 1. Replace fear with faith. Put your faith into your own brilliance and capabilities. Believe that you have what it takes. Really believe. 2. Hush the chattering voice of fear and scarcity in your mind. Count your blessings. Be grateful in advance. 3. Chase your fear. When you run toward your fear, fear takes a different route. 4. Replace worry with action. The worst case scenario rarely happens. Learn to expect the best. Congratulations to "Student Leadership Program Grant" recipient, Selamawit Thomas. 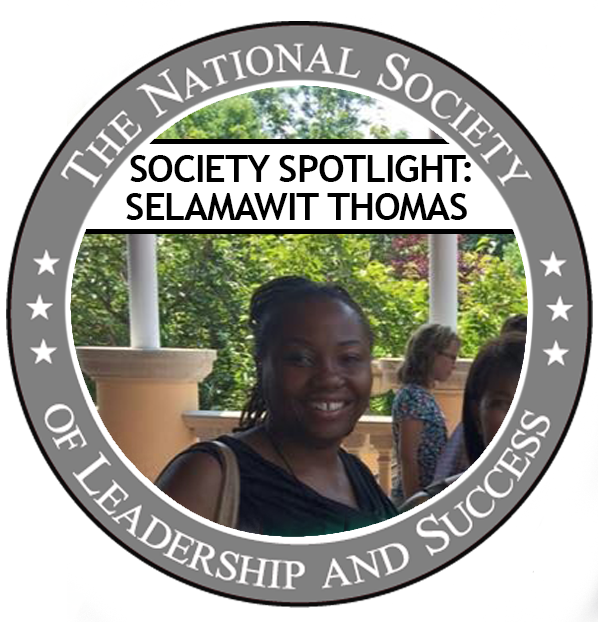 Selmawit resides in Brooklyn, NY and is a recent graduate of Medgar Evers College. We would like to share with you the experience she had at the OMEP World Assembly and Conference. 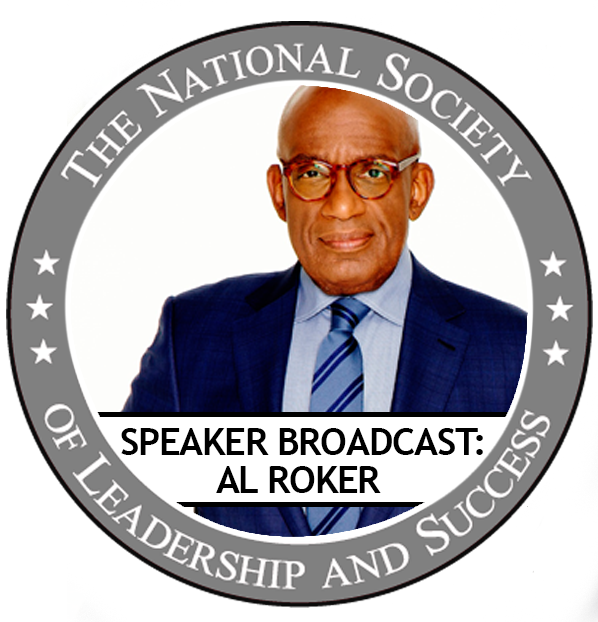 On Tuesday, October 6th, 2015, the Society kicked-off its Speaker Broadcast Series for the fall semester with America’s favorite weatherman, Al Roker. The event took place at New Jersey City University and was streamed live to the Society’s 500 chapters across the country, but what most didn’t know, was that the event almost didn’t happen. To continue reading more, click here. Mitali Mehta joined the National Office team in July 2014 as a Software Developer. 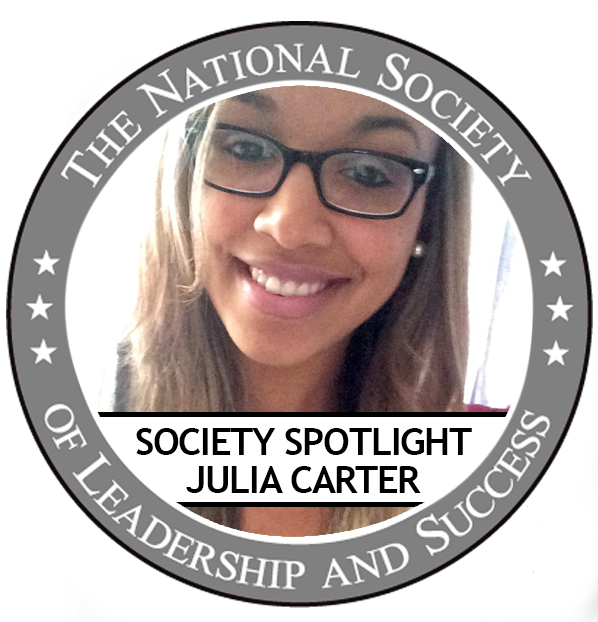 We are proud to introduce you to another Society staffer! Mitali, tell us a little about yourself. I am a software developer by profession, but that was not the reason I moved to the United States. I moved for my personal growth. I got married to an Indian guy who moved to the United States five years back and I joined him here. I never dreamed about being settled in a country other than India, but I think it was my fate.